Each Wednesday the Napa Valley Register’s Business Focus asks “10 Questions” of a local entrepreneur or businessperson. Not many locals can say they own a three-story mansion on an acre of land in the middle of downtown Napa. Joanna Guidotti and her family can. While they may not actually live in their 10,000-square-foot house, Churchill Manor belongs to them, and they gladly share the property as they welcome guests to their bed and breakfast. Located on Brown Street, Guidotti and her husband Brian Jensen bought the mansion in 1987 in a near foreclosure sale. Twenty years later, the couple has lovingly refurbished the property, and with a staff of 10, continue the tradition of hosting travelers and weddings in the grand scale of the 1800s. With the trend of holding weddings that linger for a weekend or longer came the issue of where best to conduct such events. 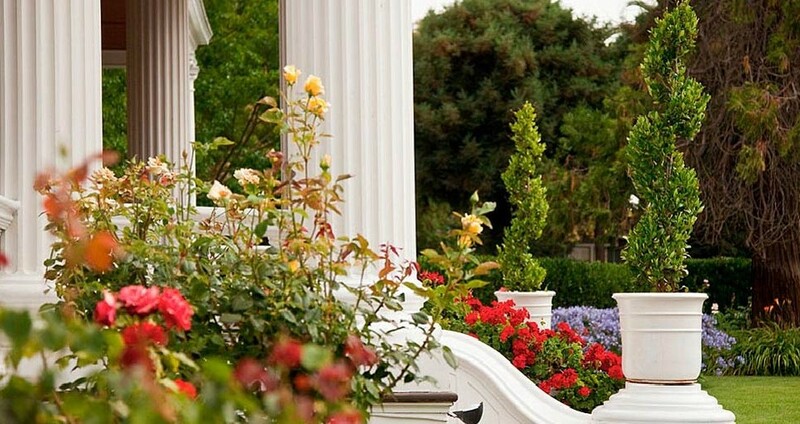 Increasingly, people are booking bed-and-breakfast inns to solve that problem. “People are looking for something more unique and avant-garde than walking down a church aisle or celebrating in a banquet hall,” says Kathy Moler of the California Association of Bed & Breakfast Inns. If you rent an inn for one or two days, which is not impossibly expensive, every event from the rehearsal dinner to the honeymoon can happen there — and out-of-town guests have a place to stay. With soaring gas prices and the mortgage and airline crises, day trips and weekend getaways are becoming much more attractive as vacation options. Fortunately, we live in a beautiful area where we can have a rejuvenating mini-escape without breaking the bank. Today on California Road Trip we head out of San Jose to Napa, California, over to Sonoma, through San Francisco’s Golden Gate Park and our final destination before heading home—Half Moon Bay. This four-day journey is designed to pamper and delight you every step of the way. While you can certainly take the kids, this trip may be one to enjoy as a short romantic get-away while the kids are playing at summer camp.